I have always wanted to create the perfect smokey eyes, but with my inexperienced makeup skills, it just wasn't possible. 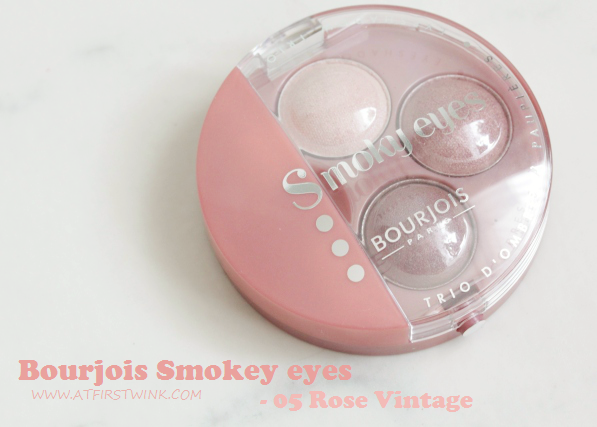 The Bourjois Smokey eyes eyeshadow trio's were especially created to make it easier. 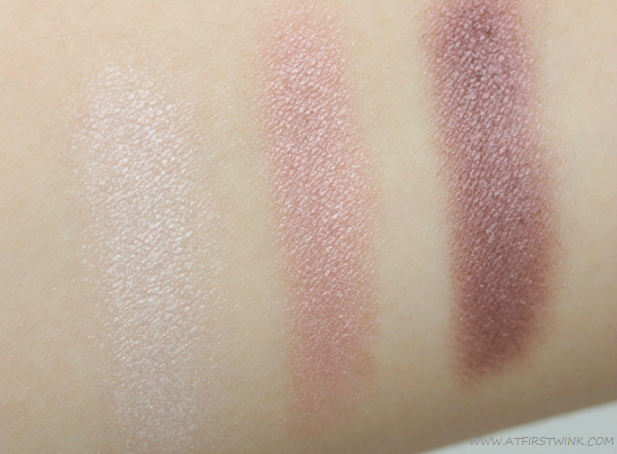 Each eyeshadow palette contains three matching eyeshadow colors, so that you don't have to find and combine three different eyeshadow colors yourself. 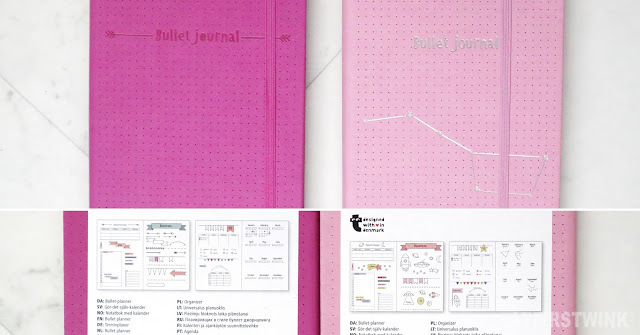 There are in total 12 color combinations and the one that will be reviewed is the no. 05 Rose Vintage. 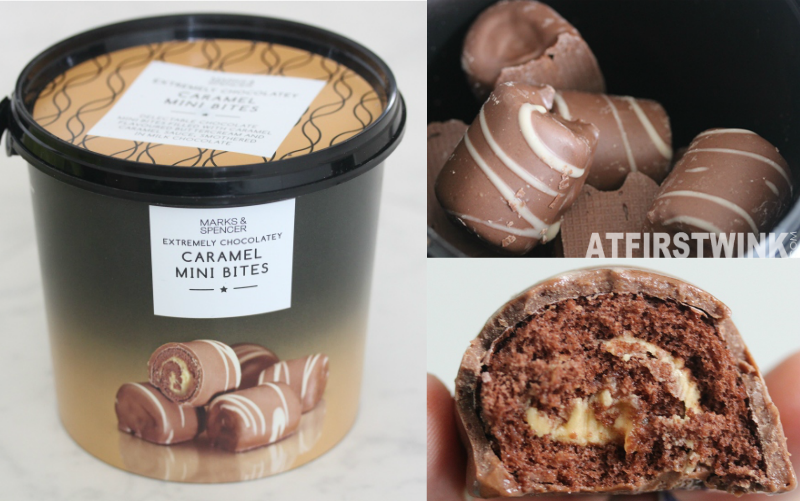 It comes in a sturdy, round compact with a transparent, formfitting plastic mold in the lid, making sure that the powder doesn't get everywhere. The eyeshadow applicator is coin shaped with soft sponge tips on both sides. 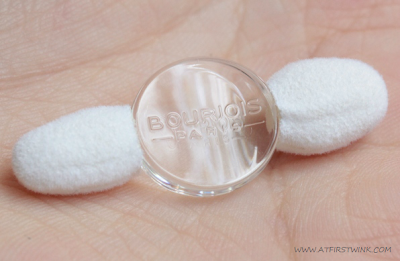 Even though the applicator can be considered a bit short, the flat side and the curved side of the coin are perfect to respectively place the thumb and the index finger on. 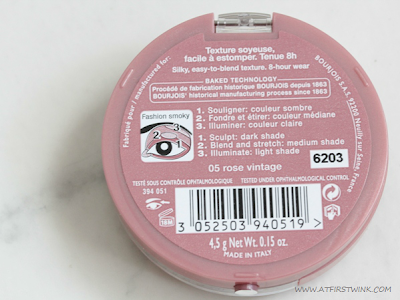 At the back, you can find the instructions on how to create the Fashion smokey eyes look. 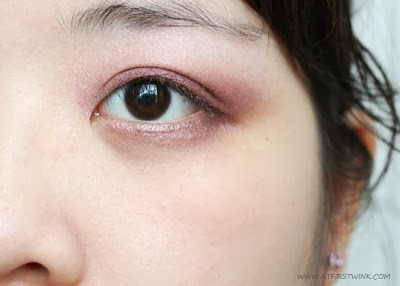 The colors almost look brown in the compact, but when you swatch them, you can see that there is a pale pink, highlighter color, a pink eyeshadow color, and a dark berry pink eyeshadow color. I needed to swipe 2 to 3 times to get the color shown in the picture, so I can't say that they are really pigmented. 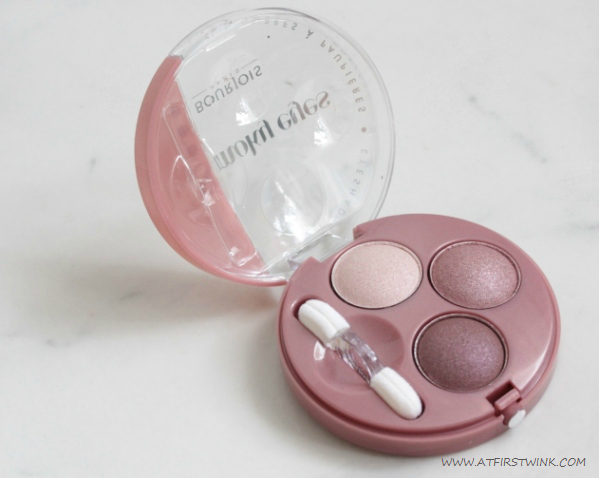 It does make it easier for you to wear the eyeshadow however you see fit, lighter and more subtle for during the day and darker and more pronounced for the evening. 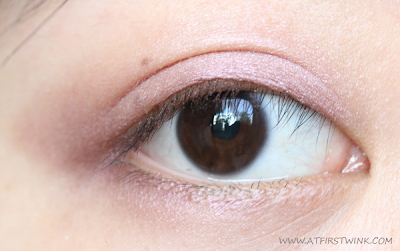 In this second picture, I wanted to create a more dramatic effect and applied the eyeshadow colors more heavily. I intended to use an eye primer, but I forgot and it wasn't really necessary. You can easily build up the color by swiping harder or applying more layers. 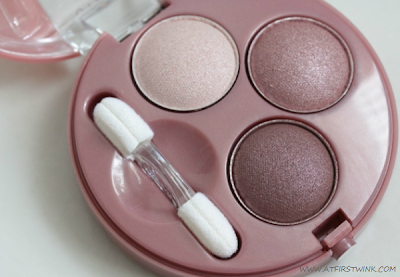 The Bourjois Smokey eyes eyeshadow trio's are available in 10 colors for €13.99 at Drogisterij.net.